I.C. Engine with oscillating shaft (Enginewos) is an innovative new internal combustion engine technology claiming high performance, typically minimizing internal resistance. It claims higher efficiency, higher power, lighter weight, least starting effort, fuel saving in idle running, and miniature starting power source. These conditions leads to most essential requirements of an ideal internal combustion engine and special demands that cannot met with a conventional power generator. At present development activities involve more funds and looking for joint venture with a potential investor. Enginewos is focused on solving the real problem of fuel saving. The present developer has come a long way. The inventor of I.C. Engine with oscillating shaft (Enginewos) has developed two versions. 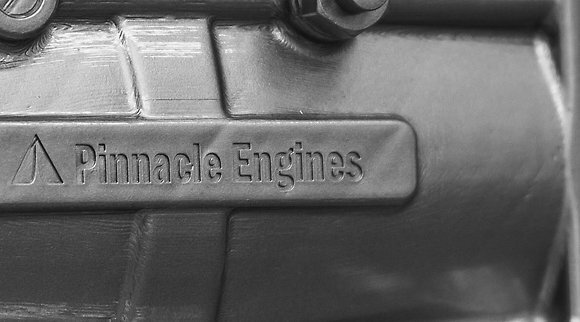 Namely engine with semicircular barrel and engine with formal cylinder version. This web site giving you detailed descriptions of both versions. This new internal combustion engine generates 1.55 times higher power. The same static pressure arrangement is applicable for a variety of liquid and gaseous fuel. IC engine with oscillating shaft (Enginewos) is minimizing internal resistance to boost power and efficiency. It defines a technology to save fuel by more than 40%, confirming with results. The idea of creating oscillator engine is to find a method of transfer gas pressure force in to mechanical power more effivicent way . It has an excellent fuel economy and a far better power to weight ratio. It generates 1.55 times higher power than the conventional engine. It is much smaller, with considerably reduced height and weight, requiring fewer parts it can produce at lower cost. Under idle running conditions the engine requires a negligible power to keep the engine running. Oscillator engine has a long service life. The flaps are movable inside the working barrel without exerting lateral thrust on walls of working barrel, so that friction on walls will be minimum. The working chamber arrangement reduces the engine weight, with compact design features. Distinctively the storage battery power requirement to start the engine is minimum, reducing the battery weight. In the latest development of Engine modified to have flaps with single side working surfaces.Then the oscillating shaft having four flaps inline as shown following pictures. Thus Oscillating engine(Enginewos) design aspectives are now finalized. Latest design of enginewos meet with many engine developers requirement by maintaining working vessels as cylinders any further. Please visit "Enginewos cylinder version"Click here for details. If we insist on the opinion that crank mechanism is the only way for IC engines, engine manufacturers have to spend large sums of money and improve engine performance by few decimal places.. Liquid and gaseous fuel reserves are not available in exodus in nature and. they are diminishing. Although we can find alternative energy solutions we cannot produce liquid or gaseous fuel to run automobiles. A recharge battery would be a solution but not for heavy loads and remote operations.